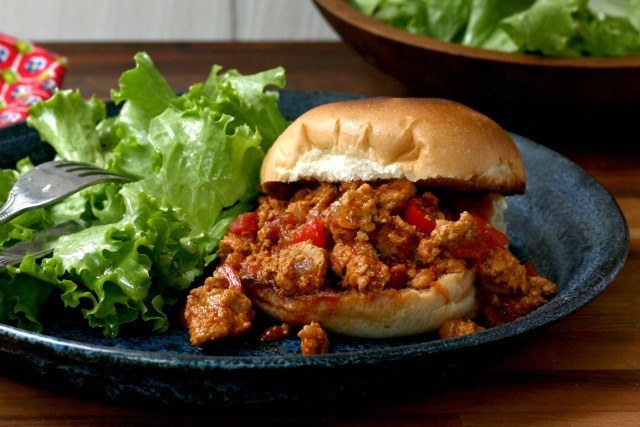 Next to baked beans, Turkey Sloppy Joes seem like the ultimate weekend comfort food. Coming across a recipe for Sloppy Joes recently was like a blast from the past. I’m sure it’s been at least 30 years since I had a Sloppy Joe for supper and I had never made them before this past weekend. 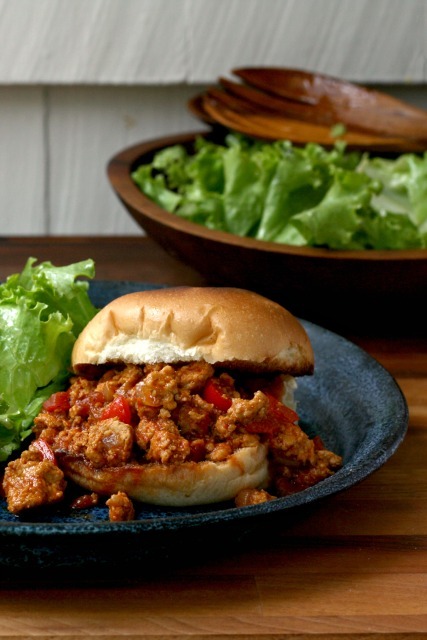 I remember Sloppy Joes from my childhood, one of those Friday night suppers that are easy to throw together and can feed a crowd if necessary. Sloppy Joes are like birthday party food and mom said when we were little we all loved them (but then kids will eat just about anything if it’s on a hamburger or hot dog bun). This recipe is a more contemporary version than mom’s old recipe. It’s a little less tomato-y and gets a nice lift from cider vinegar, Worcestershire sauce, mustard and smoked paprika. Serve immediately once you have plated the Sloppy Joes since even toasted buns will go soggy if left too long. The mixture is also good over polenta or as a taco filling. Look for free-range ground turkey or chicken for this recipe. Over medium heat, warm 1 Tbsp. of the oil in a large pot. Add the turkey and break it up with a wooden spoon. Saute until cooked through, stirring often. Remove cooked turkey to a plate. Still using the same pot, add diced onion, pepper and garlic, spices and salt. Saute until soft but not browned (about 5 minutes). Add tomatoes, ketchup, chili sauce, molasses, mustard, water and cooked turkey. Bring to a simmer and cook, stirring often, 20 minutes. Stir in vinegar and Worcestershire sauce and season with pepper. Cook five more minutes. Serve over toasted buns, polenta, rice or use as a taco filling. This recipe has also been posted to my Crosby's Molasses blog.